These dollhouse furniture sets were made with detail in mind. All of Melissa and Doug's 1:12 scale doll house furniture is hand-crafted from high quality wood and features incredable details. 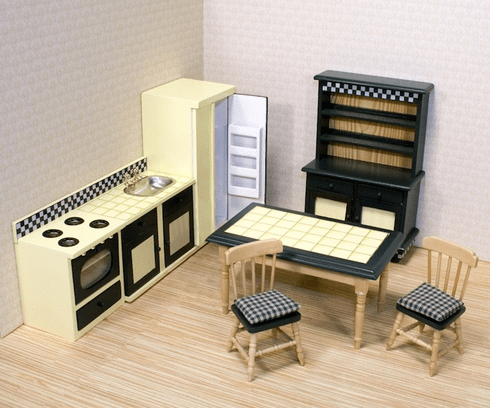 This kitchen set includes everything your child needs to start 'cooking' in their doll house. Ages 6+ 11" x 9" x 3.25" pkg 7 pieces *Doll house accessory packs sold seperately.